What started as a leak by import retailer PlayAsia has now been confirmed by Atlus USA. Etrian Mystery Dungeon will be released for the Nintendo 3DS in the West in the spring of 2015. The recently revealed spin-off title from Atlus’ first-person dungeon crawling franchise combines Etrian Odyssey’s aesthetics and popular character creation mechanics with Mystery Dungeon’s overhead viewpoint, tile-based movement, one action combat, and random dungeons. It’s a match made in heaven as the two share a lot of ideas in terms of exploration. PlayAsia’s description also reveals the game’s story, which not surprisingly revolves around diving into lost dungeons for wealth, fame, adventure, and mystery, just like the main games. Far off in the mountains, the small village Aslarga becomes a hub for adventurers looking for fame and fortune from the Mystery Dungeons. 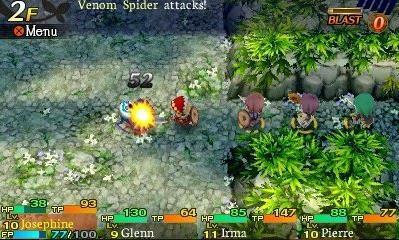 But dire challenges await even the most stalwart adventurers in Etrian Mystery Dungeon, a turn-based action RPG roguelike developed by ATLUS and Spike Chunsoft. The Nintendo 3DS™ exclusive mixes Etrian Odyssey’s vast RPG party and skill customization aspects, and Mystery Dungeon’s infinitely random dungeon adventures. There’s no hand-holding in Etrian Mystery Dungeon. 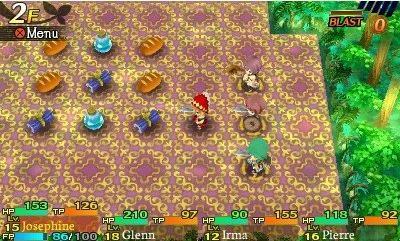 The action/turn based combat means that battling monsters is not just about using the right skills, but becomes an elegant Pas de Quatre of strategic positioning. 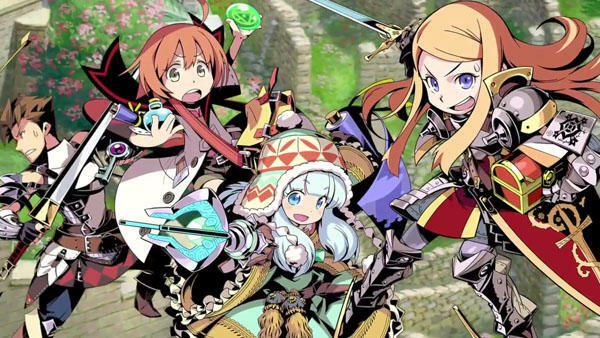 Players form their parties with familiar Etrian Odyssey classes, such as Landsknecht and Runemaster, customize individuals using Etrian-style skill trees, and then take up to four members into the dungeons. Always randomized with various levels and paths, the dungeons require plenty of exploration, not to mention the incredible loot rewards — just be wary of what waits among the deepest depths. Again, it sounds like fun, but the Mystery Dungeon series has a habit of overly simplifying the source material’s mechanics to make it more satisfying for newcomers. The main franchise has taken huge strides since its debut on the Nintendo 3DS in finding a balance for newcomers and veterans alike, and I don’t think it particularly needs a Mystery Dungeon game other than to act as mere fanservice. Good fanservice, but fanservice nonetheless. 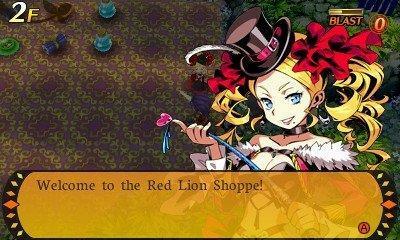 Keep an eye out for Etrian Mystery Dungeon on the Nintendo 3DS in Spring 2015.